I'm going to be doing Scripture Writing for 2018. I want to know God in a more intimate way and deepen my relationship with Him. 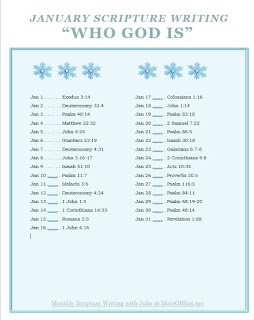 So, for January, all the Scriptures are about who God is. This is just a drop in the bucket as far as who the Bible says God is, but I tried to choose ones that show a wide range of who the Lord is. 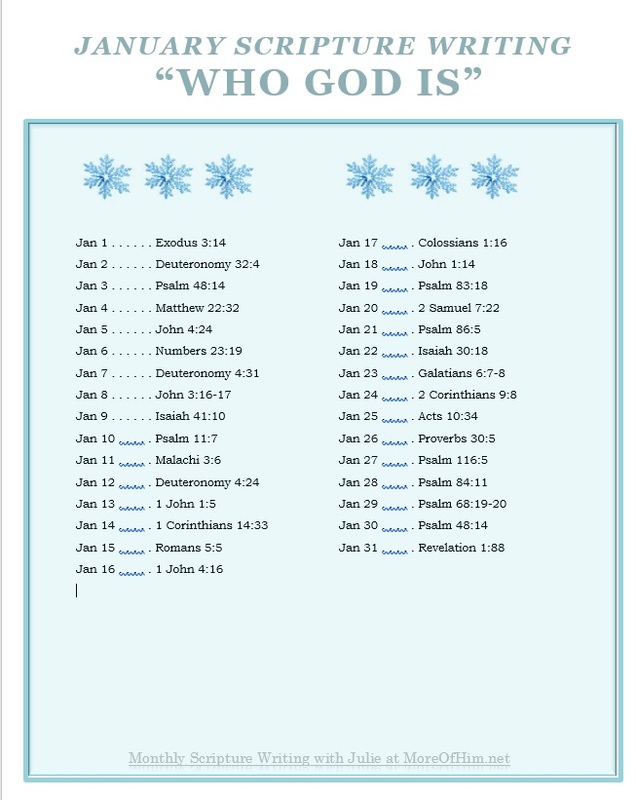 If you would like a copy of the Scriptures and join me in writing Scripture, you can go HERE and download a copy and print a copy of the Scriptures for yourself. Let me know if you do this and I'd love to see your Scripture writing! You can share it on my Facebook page or Google+ page, both which you'll find on the side bar. Let's get to know God in a more intimate way in 2018!! Need clarification. Are you simply writing out the scripture verses in your own hand in a special place? Or rewriting with your thoughts as well? Or something else totally? Thanks in advance & Happy New year!